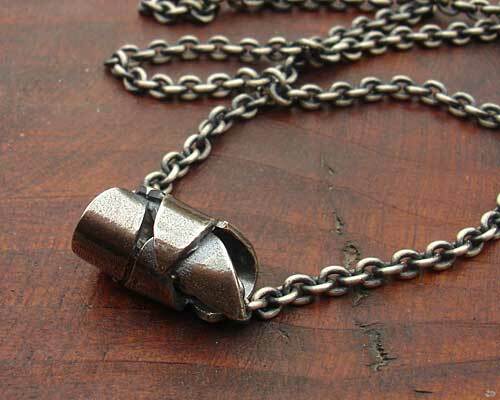 Roman Silver Necklace For Women : LOVE2HAVE in the UK! 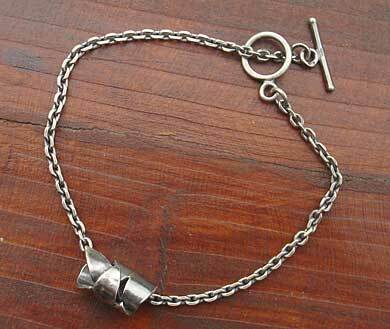 A Roman silver necklace for women. When in Rome do as the Romans do? That is how the famous saying goes, and our latest range of Roman-inspired jewellery reflects this very well. The Romans were well known for their flamboyant and very decadent approach to living, and this piece of jewellery reflects this very well. The designer, inspired by the classic Roman laurel wreath worn by Emperors for this women's silver necklace, christened this collection the Roman Emperor collection. The wreath has been made up from laurel-leaf-shaped silver panels that have been joined to form a tubular construction. The Laurel moves freely on the chain which has a very stylised T-Bar arrangement to fasten it securely to the wrist. All the silver comes in an oxidised finish which again reflects an ancient historical feel to the piece. 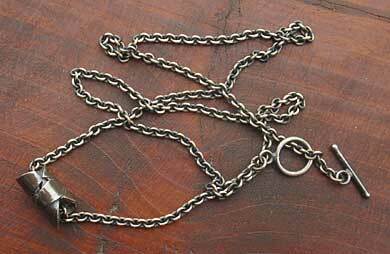 The chain is just under 20 inches (other lengths are available on request), and the Laurel measures approximately 15mm in length. Matching earrings and a bracelet are also available from our website.